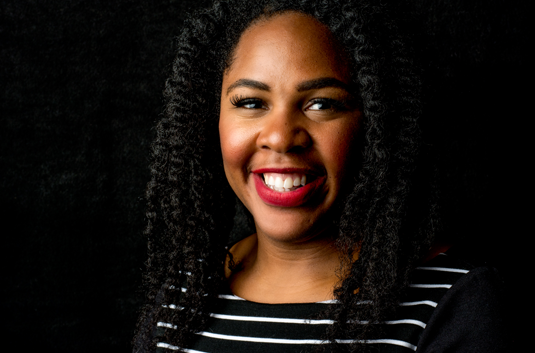 Dr. Jedidah Isler is a NSF Postdoctoral Fellow in Astrophysics at Vanderbilt University where she studies hyperactive, supermassive black holes. Her scientific research explores the physics of blazars – supermassive black holes at the centers of galaxies that create particle jets moving at nearly the speed of light. She is a proud alumna of Norfolk State University’s Dozoretz National Institute for Mathematics and Applied Sciences (DNIMAS) and the Fisk-Vanderbilt Bridge Program. 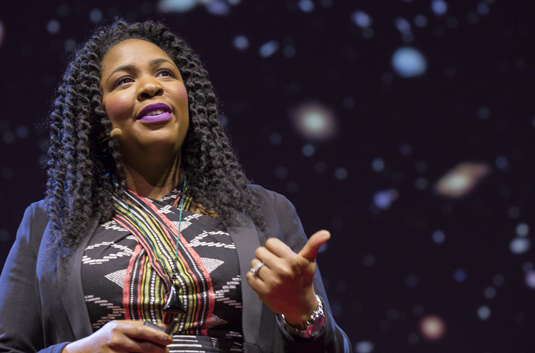 In 2014, she became the first African American woman to receive her Ph.D. in Astrophysics from Yale University. Her innovative and award-winning research has been supported by fellowships from the NSF, NASA, and the Ford Foundation and she has appeared on numerous radio and television programs including NPR’s All Things Considered and TED Radio Hour, the Science Channel’s How the Universe Works, and the 2016 National Geographic feature miniseries MARS. She has also been featured on DeRay McKesson’s podcast, Pod Save the People. A 2015 TED fellow and a 2017 Senior TED Fellow, more than 2.5 million viewers have watched her TED talks. Dr. Isler is an outspoken advocate of inclusion and empowerment in STEM fields and is the creator and host of “Vanguard: Conversations with Women of Color in STEM.”. Her non-profit organization, The STEM en Route to Change (SeRCH) Foundation, Inc., is dedicated to using STEM as a pathway for social justice and has developed a variety of initiatives including the #VanguardSTEM online platform and web series. Dr. Isler has also worked with museums, libraries, planetariums, schools, and universities across the country to inspire the next generation of STEM leaders. In 2015, she served as a co-organizer of the NSF-funded Inclusive Astronomy conference and later presented the conference’s recommendations to the President’s Council of Advisors on Science and Technology. Currently she serves on the American Institute of Physics TEAM-UP Task Force. Her advocacy and research have won her recognition as a Kavli Frontiers of Science Fellow by the National Academy of Science (2015), a National Geographic Emerging Explorer (2016) and one of The Root Magazine’s 100 Most Influential African Americans (2016).